Indie supergroup Mounties put on a funky, weird and extremely enjoyable show at Last Best's Patio "Albeerta" Stage, ending the second night of Big Winter Classic on a high note. 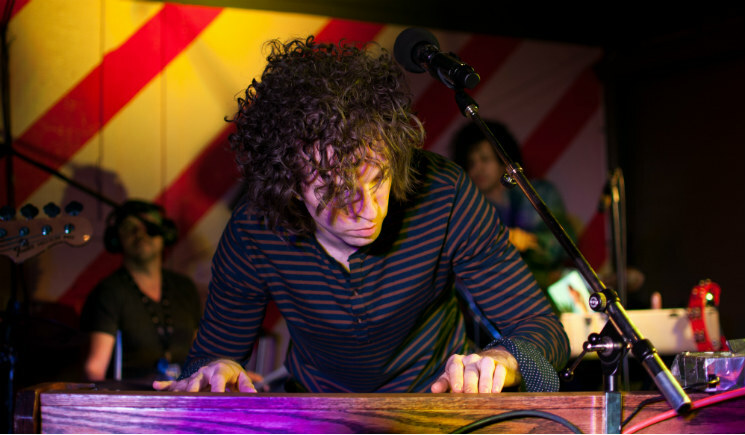 The Vancouver-based band were in great shape despite Steve Bays mentioning that this was their first show in six months — they're flying back home now to finish their new album. The night's performance was energetic from the get-go, as the band launched into "Pretty Respectable." Their set predictably focused on material from their debut, with the true highlights coming from their ability to improvise. Bassist Parker Bossley in particular was an amazing counterpart to Hawksley Workman's powerful, epic drumming, and they oozed charisma in moments such as Bays' accidental mic drop during "Made Up My Mind," Workman's ode to grilled cheese and a great Latin bass line played by Bossley that changed the direction of a jam. Mounties' live show is a virtuosic demonstration, all splendid cacophony and raucous charm.